BE/ BTECH (Computer Science/ IT/ Electronics/ Electronics and Communication) required in Punjab National Bank. Education: BE/ BTECH (Computer Science/ IT/ Electronics/ Electronics and Communication)/ MCA from a recognized University. Posted in Apply online, Computer Science, Electronics and Communication, Electronics and Instrumentation, Electronics and Telecommunication, Government Job, IT, Job After Btech, Without Experience. Tags: 2012, Apply online, Govt. 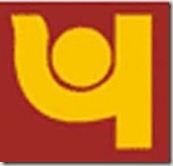 jobs, Last Date: 17 August, Officer (IT), PNB, PUNJAB NATIONAL BANK, recruitment on August 1, 2012 by kavita joshi. BE/ BTECH (Computer Science) required in Heavy Water Board. Education: BE/ BTECH (Computer Science) from a recognized University with at least 60% marks. Posted in Computer Science, Government Job, Job After Btech, With experience, Without Experience. Tags: 2012, Govt. jobs, Heavy Water Board, HWB, Last Date: 17 August, Technical Officer Required. on July 9, 2012 by kavita joshi.